had this fone for almost 4yrs.. so awesome... but whts the difference between v3 and v3r? cuz mine says v3r.. it also has a video record..
Hi, I am Aries. I am currently using a Motorola V3, may I ask you some help here on how to download the software so that I can connect it to my laptop? Any advice here. Thanks. i am presently using a motorola v3 .all the features are good but there is no micro sd card slot ,if it was present in it would be a great help. 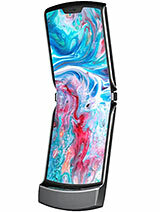 this is an awesome fone peoples!!!!!!!!!!!!!! It .F....d up in a few weeks. And I treat My Mobiles with a lot of care. I have a Nokia 3650 & A Motorola v1075 And they r still going srtong. Much better than the Motorola v3 even its features. Anonymous, 12 May 2010I had this phone in black and it is still incredible after five years. It has been around the ... moreyeah!!! it's really cool!! I had this phone in black and it is still incredible after five years. It has been around the world and I have not had any kind of issues with it. I LOVE this phone. I got this phone 2006 but used it for a year only because it was not user-friendly at all. Just recently, I had to use this phone again because my Sony Ericsson wont charge. I realized how bad this phone was. In fact, it can't even receive long text messages. Im getting a new phone today. Hi, i write here and maybe someone can help me.I got a moto v3 and suddenly i can t charge the battery.It says unable to charge.The battery is an original motorola battery and i just buy it. tones, 14 Apr 2010I dropped my phone now the face does not come i can still make and receives calls but cant see... morethe screen is blank and i would like to retrieve the phone numbers.